The Securities and Exchange Board of India (Sebi) is scrapping its proposed listing platform targeted exclusively at startups while mobile advertising platform InMobi has been ordered to pay a fine of $950,000 and implement a privacy programme to settle charges made against it by the US's Federal Trade Commission. Here's a quick round-up of the startup and technology stories of the day. SEBI to do away with startup listing platform Markets regulator Securities and Exchange Board of India (Sebi) is scrapping its proposed listing platform targeted exclusively at startups as it failed to attract any even a year after it was proposed, a Mint report said. The regulator may allow startups to list on the regular stock exchanges. This will involve changes to as much as 10 Sebi regulations. The startup listing platform failed to be implemented as both startups and banks were concerned about the ability of Indian investors to judge the value of early-stage companies, and were worried about liquidity on the alternative trading platform, it said. InMobi to pay $950,000 in civil penalties, to set up privacy programme Mobile advertising platform InMobi has been ordered to pay $950,000 in civil penalties and to implement a privacy programme to settle charges made against it by the US's Federal Trade Commission (FTC) for deceptively tracking consumers', including children's, location-based information and preferences, The Economic Times said. Initially, the FTC set the fine for $4 million but then brought it down to $950,000 due to the firm's financial condition. In its statement, the FTC claimed that InMobi was collecting users' location data irrespective of whether consent had been obtained. In some cases, InMobi obtained the information despite being denied permission to use it. The privacy programme that InMobi is being directed to set up will be audited every two years for 20 years. SAP to launch incubation centre in Bangalore After Microsoft and Oracle, German software firm SAP has also launched its startup incubation centre in Bangalore, The Economic Times reported. The SAP Startup Studio will offer a 12-month accelerator programme, which will see the German firm put in money in startups as well as provide co-working space, mentoring and technology support. The first 10 startups will be given 75 seats and depending on the performance of the firms, SAP will opt for an equity stake, a financial engagement or a strategic partnership, Bernd Leukert, member of SAP's executive board, told ET. SAP will target startups in segments such as internet of things, cloud computing, big data, retail and healthcare. 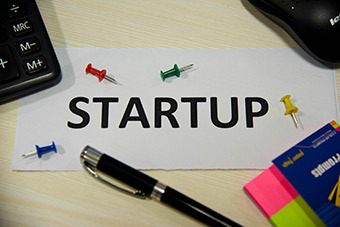 It has already shortlisted startups for its first programme -- cloud-based healthcare platform CloudKare, reverse logistics firm Blubirch, AI-powered chatbot service Niki.ai, ecommerce marketplace Sellerworx, sales management platform Stratawiz, energy management solutions firm Ecolibrium Energy, and B2B e-commerce provider Moglix.